The new Cheerson CX-OF is the smallest drone ever to include optical flow technology. The CX-OF may be tiny, but it packs in a lot of features. “Optical flow” is the term drone makers are now using do describe an extra stability feature that uses a downward sensor to keep your hovering quad in one place. When paired with altitude hold, optical flow will make any drone a lot easier to fly and to set up selfie shots, especially for beginners. The CX-OF also has automatic takeoff and landing, WiFi FPV, headless mode, flight planning and even a new “dance mode.” You can expect a flight time of 3-4 minutes from the CX-OF. 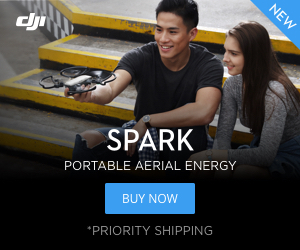 It’s pretty incredible that they can pack so many features in such a small drone. The CX-OF also has automatic takeoff and landing, WiFi FPV, headless mode, flight planning and even a new “dance mode” that’s sure to keep you laughing. You can expect a flight time of 3-4 minutes from the CX-OF. It’s pretty incredible that they can pack so many features in such a small drone. Take a look at the CX-OF from the top. The Cheerson CX-OF is the newest drone in the CX-10 lineup. The CX-OF replaces the CX-10WD as the top-of-the-line beginner micro drone. Optical flow does a better job of keeping the drone in position than just altitude hold, and this feature is starting to appear on more and more drones. It is the next best thing to GPS stability. Unlike GPS, optical flow it works both indoors and outside. GPS has big advantages outdoors since it works over all surfaces and at all altitudes. Optical flow only works when the drone is close to the ground. The CX-OF was designed to be a small and portable drone. The remote transmitter has sliders rather than sticks to control the quad. This was done to make it easy to take the controller with you. You can use the app on your smartphone to view the pictures and videos coming from the drone. You can also use your smartphone to control the drone if you would rather ditch the remote. You’ll get a remote, charger and an extra set of props with your CX-OF. The camera on the CX-OF is a 0.3 MP camera. It will take mediocre pictures and video outdoors in good light, but it will certainly leave you wanting more if a really good picture is what you are looking for. The stability added by optical flow makes the CX-OF much more practical for taking selfies when compared to previous models without this feature. The lack of an HD camera is disappointing but using a lower resolution camera does keep the cost down on this quadcopter. The CX-OF has other basic features you would expect on a quadcopter like multiple speeds and push button flips. You can even use the app to draw a path for the drone to follow. The newest feature is the “dance mode.” In dance mode, you can preprogram moves and the drone will take off and do a series of dips, flips, and spins. It is a neat trick. Should You Get the CX-OF? The CX-OF would be a good drone for a beginner because of its compact size and best-in-class stability. It also could be a fun starter selfie drone. The short flight time and inability to change out the batteries will limit your time in the air, so if this is an issue for you then you may want to look at other options. 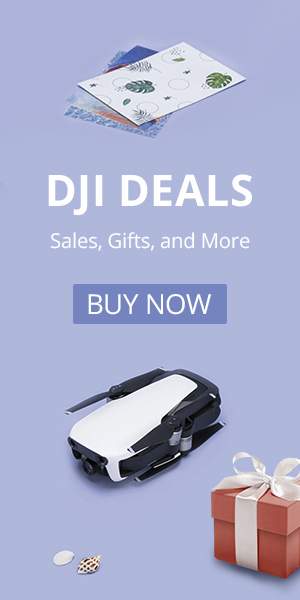 If you are looking for a small but fun drone then take a look at the CX-OF.